We have exciting news – we will be in Killarney in early September for our next remodelling event! We organised a remodelling event in Galway earlier this year which was a great success! Let us tell you about Galway so you get a feel for what is in the pipeline for Killarney. 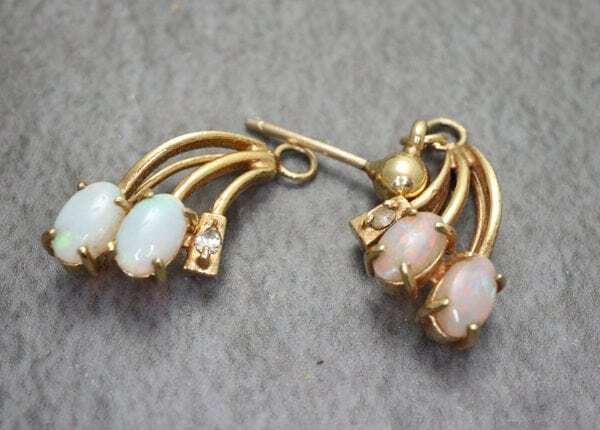 A remodelling event gives customers the opportunity to meet us and discuss design ideas for their old pieces of jewellery, and all without travelling to our shop in Dublin. In Galway we met customers for their complimentary remodelling consultation in a meeting room in a city centre hotel. 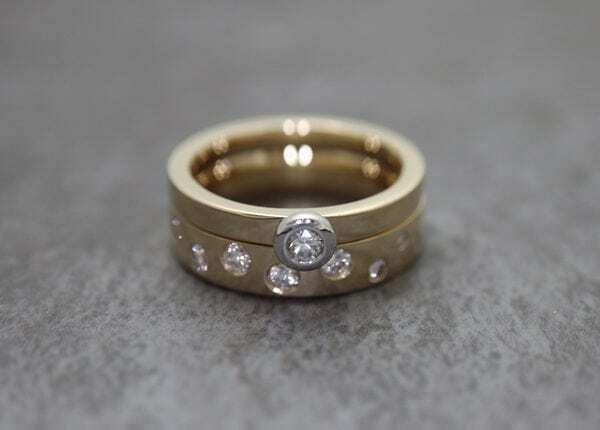 Our conversation with them focussed on the old gold and gemstones they had and the pieces of jewellery they felt they wanted. We were able to go through possible design ideas and options with them and show them sample pieces and sketches. Once it was clear as to what the customer wanted, we looked into sizing and pricing details for them. After we finished the consultations in Galway it was time for us to return to Dublin! 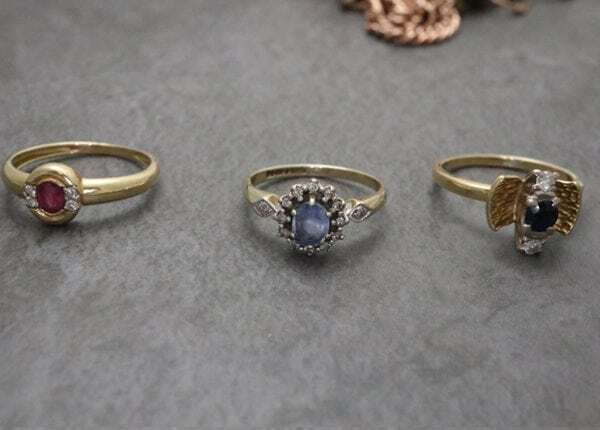 We took the pieces of old jewellery back to our in-house workshop and got going on each individual remodelling project, melting old gold and resetting old gemstones. 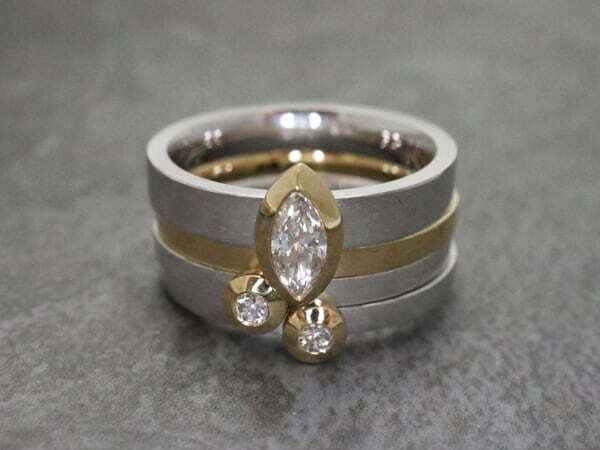 About 8 weeks later we returned to Galway to hand deliver the newly remodelled contemporary pieces of jewellery – everyone was thrilled with the outcome! Here’s a glimpse of some of the remodelled jewellery we made for Galway customers. Click the images below to see what they looked like before we remodelled them! 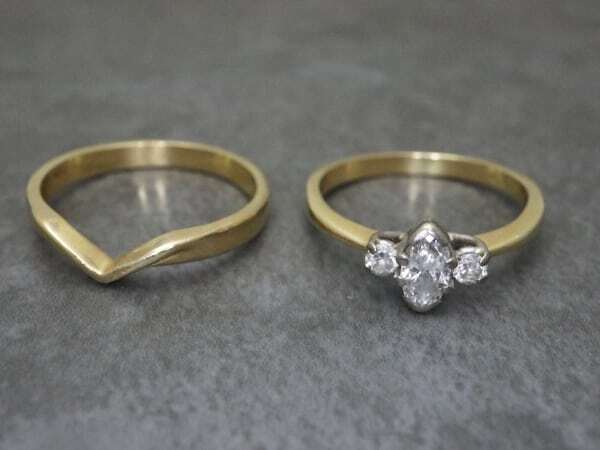 The first set of rings was made by combining diamonds from three separate rings. 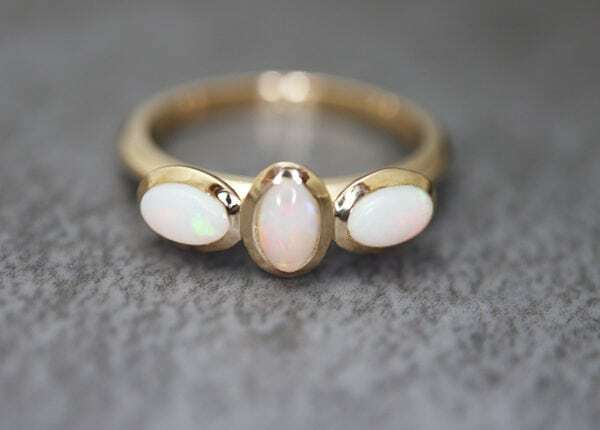 In the middle you can see two opal rings that we made for a mother and daughter using stones from a pair of earrings. 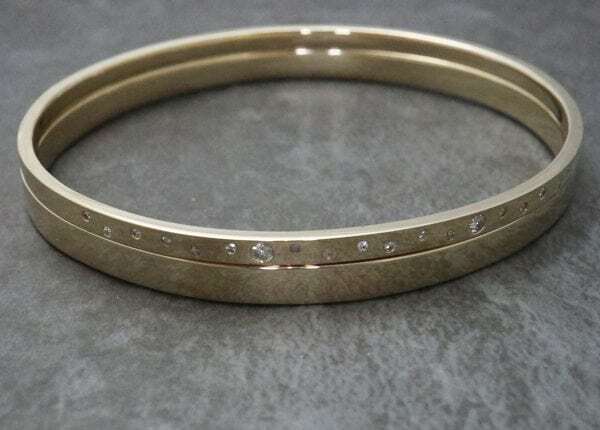 The last image shows a pair of bangles, one of which is plain while the other has scattered diamonds. 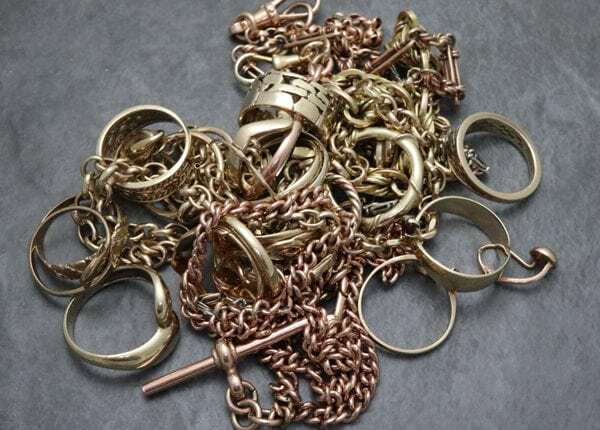 This customer had lots of old gold and making bangles was a great way to make the most of it! 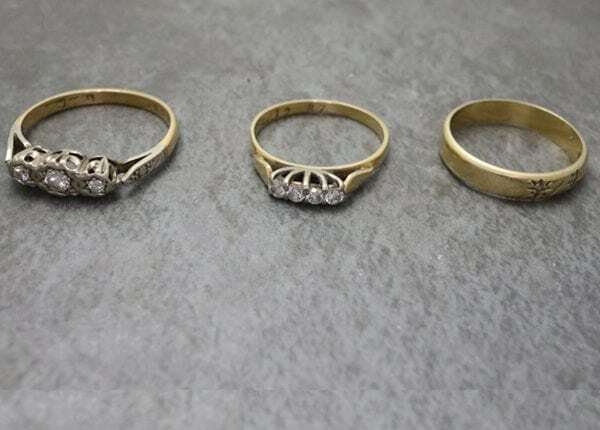 The diamonds were taken from three different rings. We look forward to meeting you for your remodelling consultation. 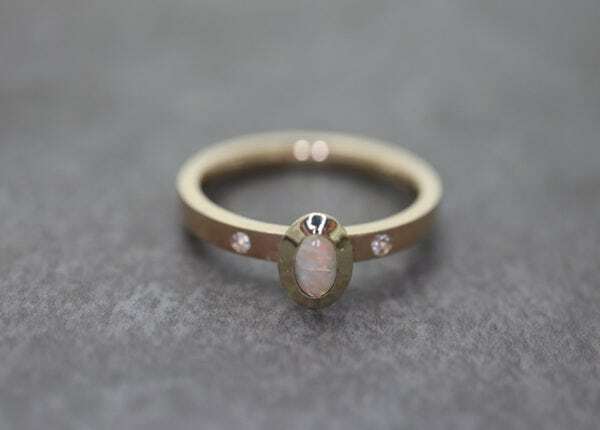 As jewellery is very personal and it’s important to make the time to go through your pieces on a one-to-one basis, consultations are by appointment only. To book a complimentary remodelling consultation with us click here. 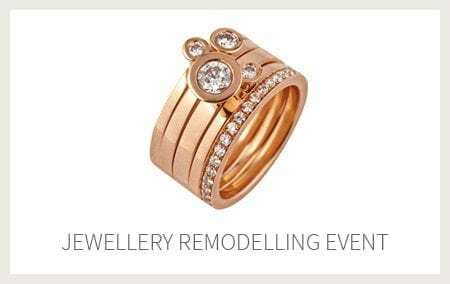 If you would like to find out more details about what is involved in remodelling have a look at our website – www.stonechatjewellers.ie/remodelling where you can see more images of recent projects. Should you have any queries, please get in touch at shop@stonechatjewellers.ie or call on 01 671 01 03.